On November 17, 2018, Winelala was officially 47 days old. On that same day, SerenaFit* was ten years old and our two businesses were celebrating side by side. #businessessupportingbusinesses got used a lot that night, as it should, and the pics on Insta only start to do it justice. The scene was packed with well-dressed fitness enthusiasts and wine lovers. 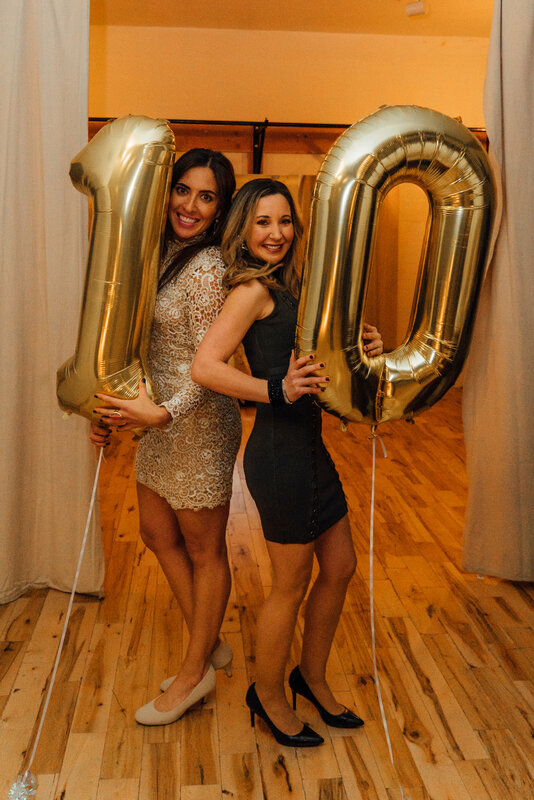 Friends and new friends partied together on the dance floor at Zakti Fitness Bodyworks in South Philly and Event and Fitness deejay Dom McGraw kept everyone going. We served six different wines - three whites, one sparkling, and two reds - complete with notes, pairing suggestions, and a brief explanation on ‘Why it’s Amazing’. For example: the Tempranillo placard read, “Tempranillo or ‘Rioja’ is one of Serena’s favorites!! This wine is a little younger (a crianza) so it retains freshness and fruit alongside oak notes”. Quick and easy, right? Others were chosen for reasons such as being made by women winemakers, being interesting and delicious alternatives to more mainstream choices, and for being made from organic grapes. One was there just there for style alone!! Here’s the list and the reason behind each. Feel free to borrow for your own parties! Minonetto Prosecco Brut - Why it’s Amazing : Not nearly as weighty as Champagne, this beautiful Prosecco has notes of white flowers and fruits. It is certified organic and the bottle is made with recycled materials. Yay for Mother Earth! Suavia Soave Classico 2017 - Why it’s Amazing : This wine is clean and bright but not as fruit forward as the NZ Sauvignon Blanc. Made from Garganega, this is a nice alternative white to explore! Clifford Bay Sauvignon Blanc 2016 - Why it’s Amazing : Made by a husband and wife team (another woman winemaker!) Refined and elegant; Southern France meets Northern California. Novellum Chardonnay 2016 - Why it’s Amazing : Made by a husband and wife team (another woman winemaker!) Refined and elegant; Southern France meets Northern California. Substance Cabernet Sauvignon 2016 - Why it’s Amazing: This wine was chosen for its depth and intensity, but also because it was made to be enjoyed by people ‘around the globe’ and in the moment. Cheers! To SerenaFit and Winelala! Here’s to ten more years! *SerenaFit is a special friend and supporter of Winelala, and vice versa, so it was a joy to be in the same company. Congrats once more on your success, Serena! !